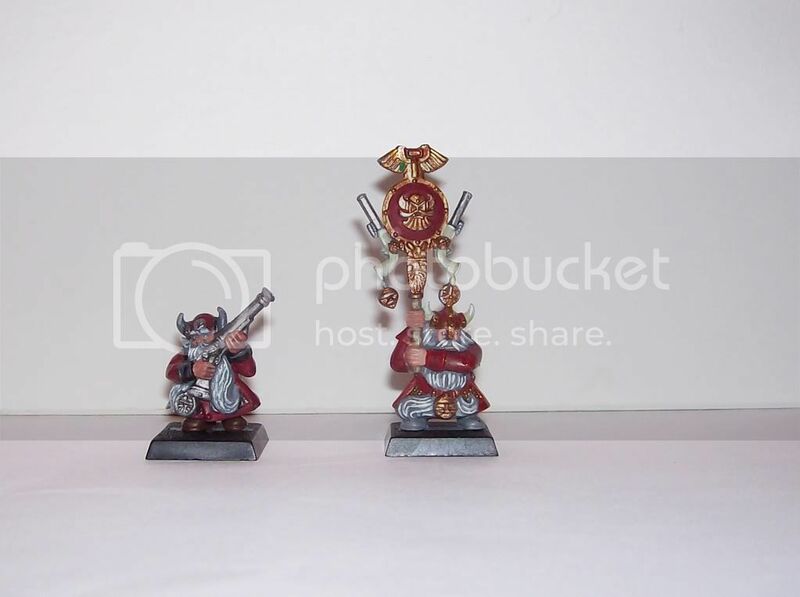 both were only meant to be painted to table top standard and be painted quickly this is not my best painting at ALL but its fast and in my opinion looks allright for rank and file. Nice Dryads, Also I like the dwarf on the left. otherwise, stick with Wood Elves, they rock! I like the dryads, they look great now. 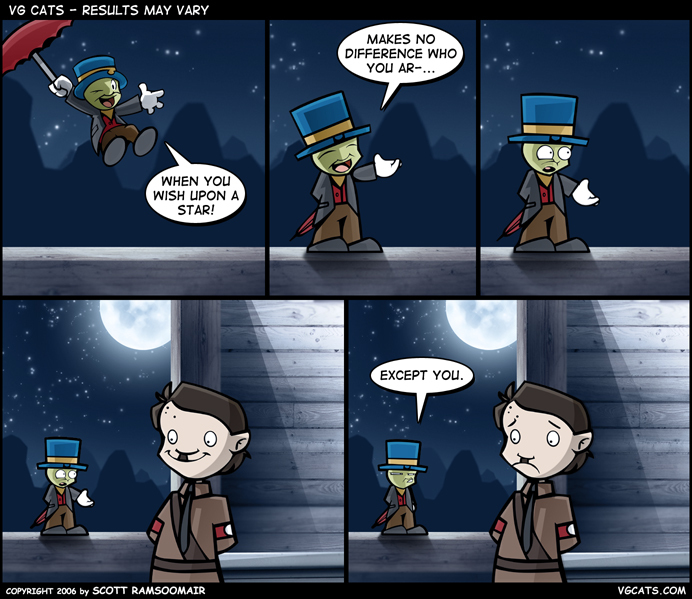 But they&#39;d look even better if you based them. 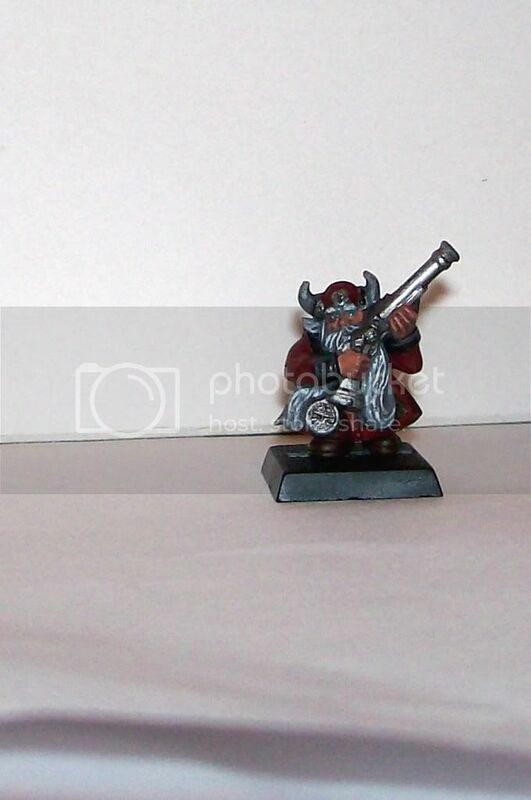 I can&#39;t say I&#39;m a fan of the dwarfs though. Maybe use an ink wash on them or somtheing to make them a little more serious looking. 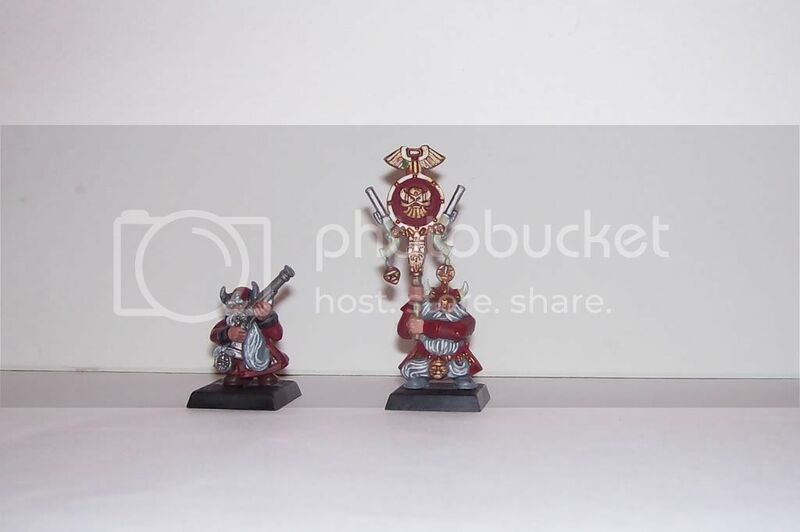 The Dwarf Standardbearer could use a bit of variety in his coat, although i do approve of the colors and highlighting. The Dryads are simply beautiful. Great work. "What you have are bullets, and the hope that when your guns are empty I&#39;m no longer standing. Because if I am, you&#39;ll all be dead before you&#39;ve reloaded." 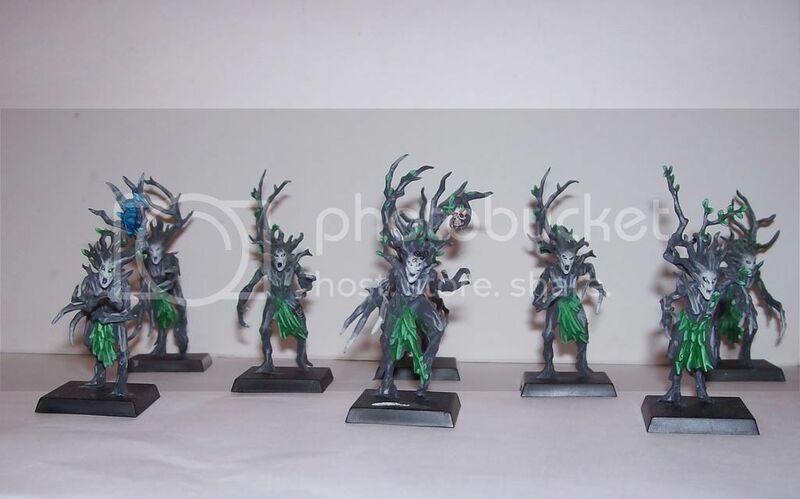 allright this is an important question so listen up, how much would you pay for those 8 dryads and a highly converted but not painted branchwraith along with sprues to make another 3 dryads??? would it be better to just sell the 8 painted dryads and not the other stuff, how much would you pay for this? dark forces will be in your opposition!! !